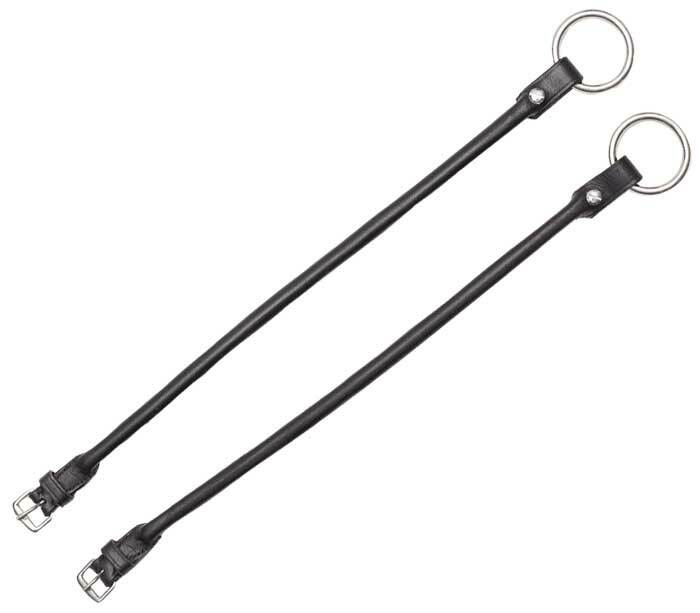 Pair of gag straps, used with a gag snaffle bit. The buckle ends connect to the headpiece of the bridle, while the straps are fed through the gag rings of the bit. The ring end is used to connect the gag rein. Chicago screws at the ring end for ease of fitting to the bit.